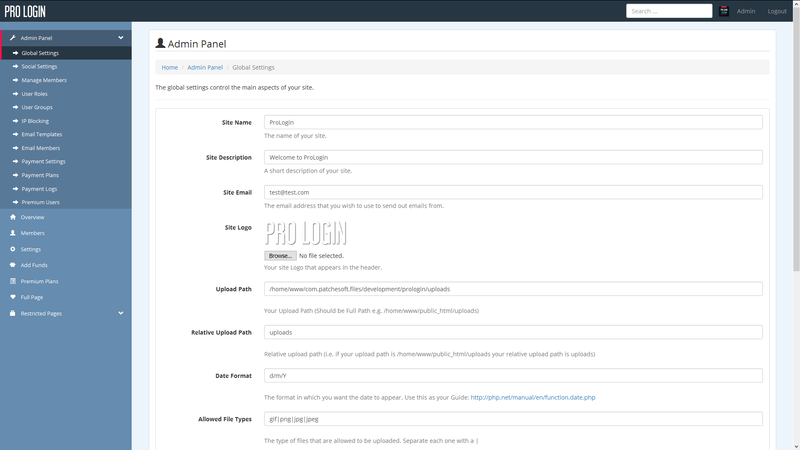 Pro Login Content – CMS Secure User Login System is a powerful PHP script that offers a secure user management system. 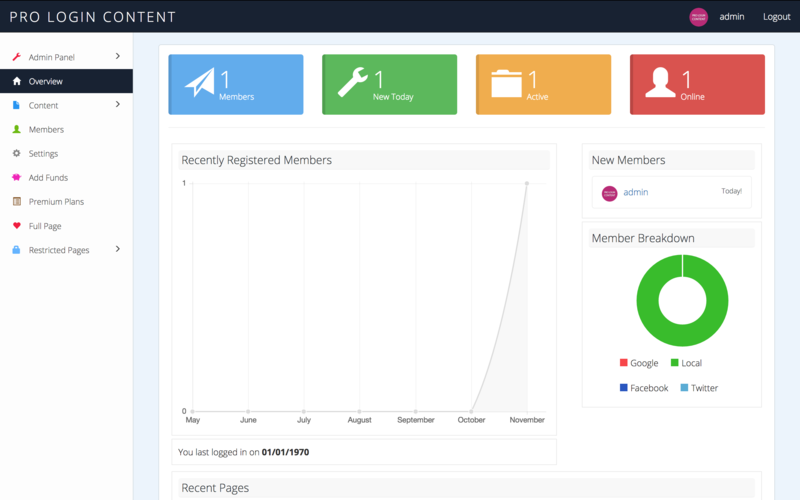 The application is a great way to build your website, allowing your users to register an account, build content pages with our CMS and build restricted access to certain users. We offer great support and it’s very easy to install. 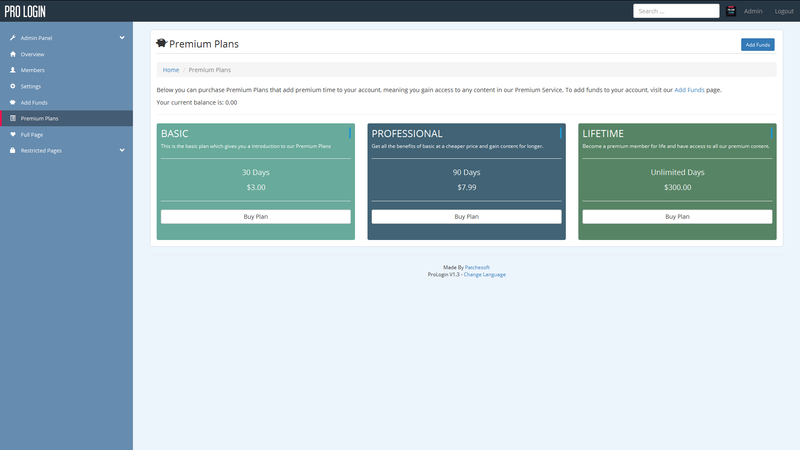 It also has an optional payment system built-in that allows you to create Premium Plans for users to view specific content. 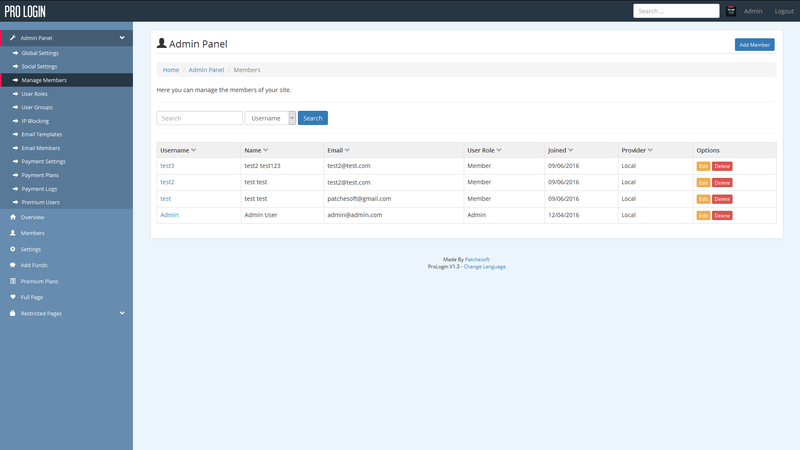 It’s powered by MYSQL and PHP with CodeIgniter 3.1.1, making it a very robust solution. 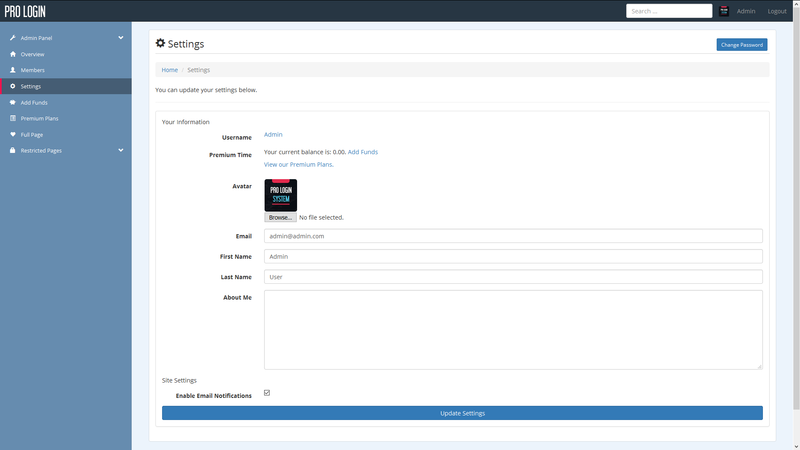 Demo content resets every 30 minutes. 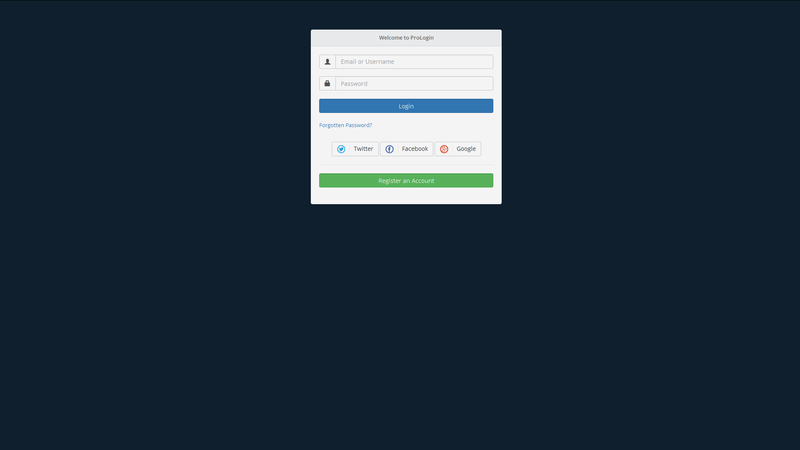 Pro Login Content is also very secure! 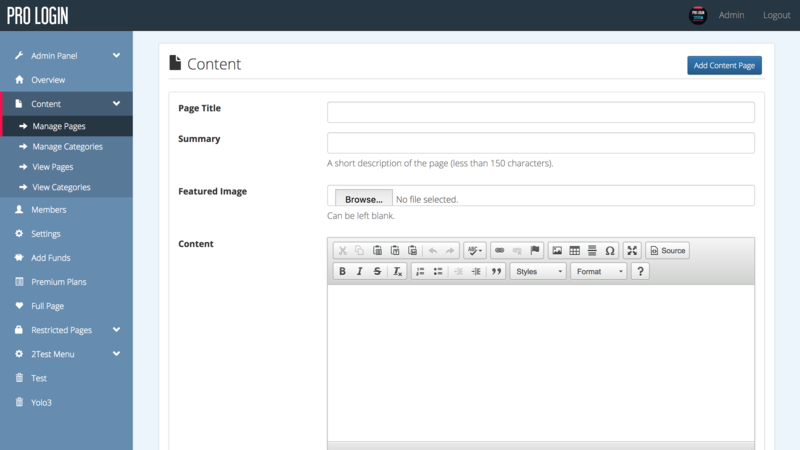 Create content pages that your users can visit using a powerful text editor (CKEditor). 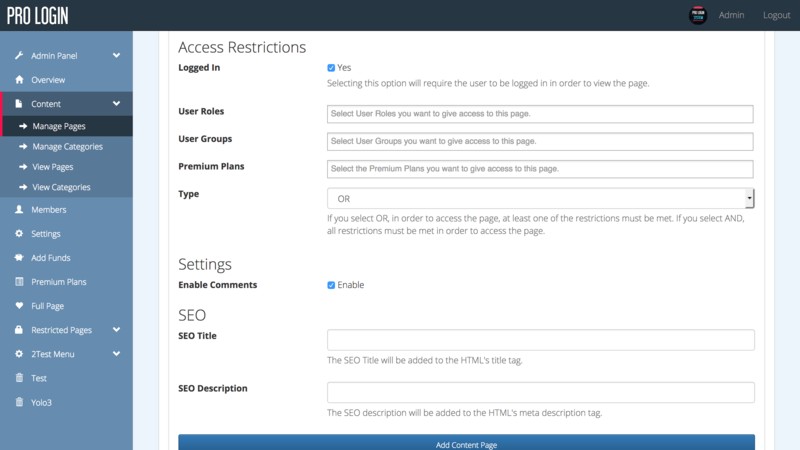 Restrict access to content pages to certain User Roles, User Groups, Premium Members or just logged in users. 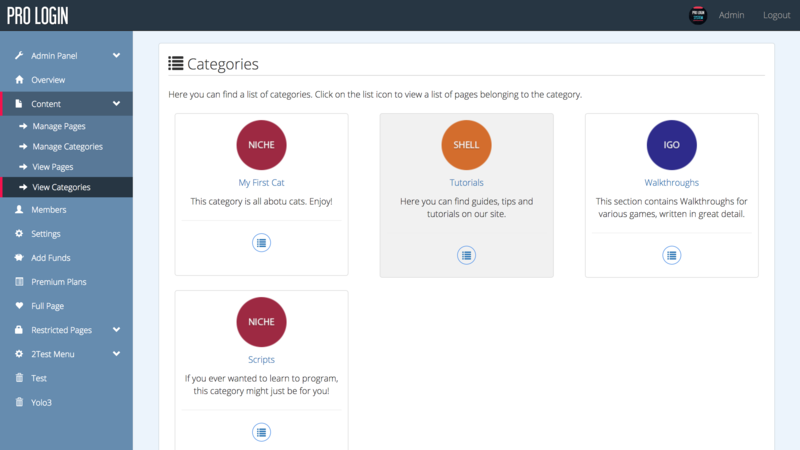 Add categories to organise your content. 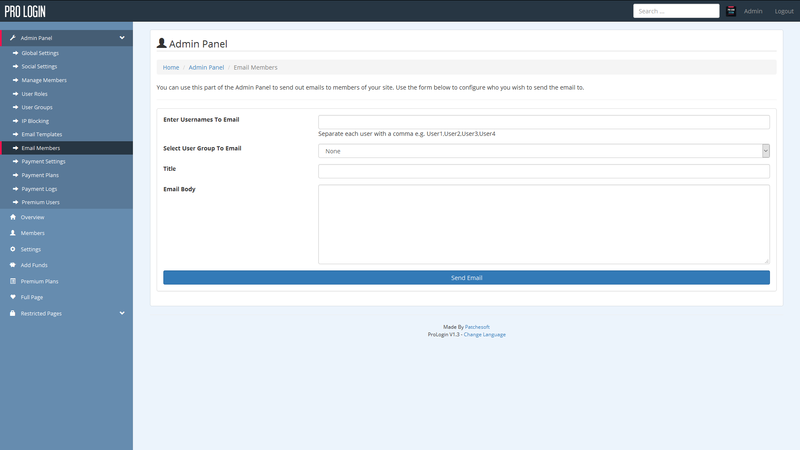 Comment system allows users to post messages at the bottom of pages. Can be enabled/disabled per page. 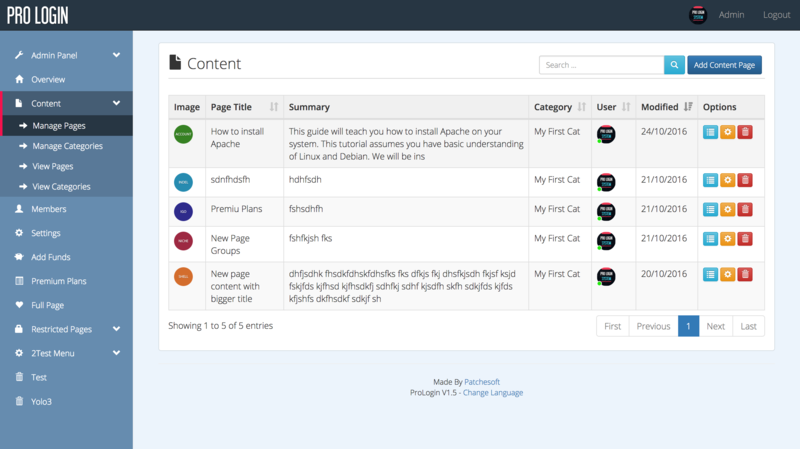 HTML can be used in making content pages. Easy to use AJAX searching of content. Content Manager and Content Worker User Roles can make new content pages. Use our premade layouts and change the look on the fly. 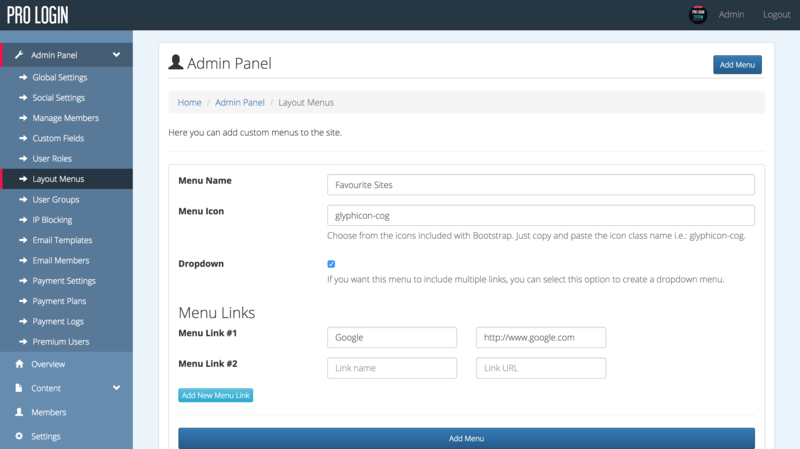 Layout Menus allow you to create menus and links in the sidebar without having to modify the code. Check out via PayPal or Stripe, supports multiple currencies. 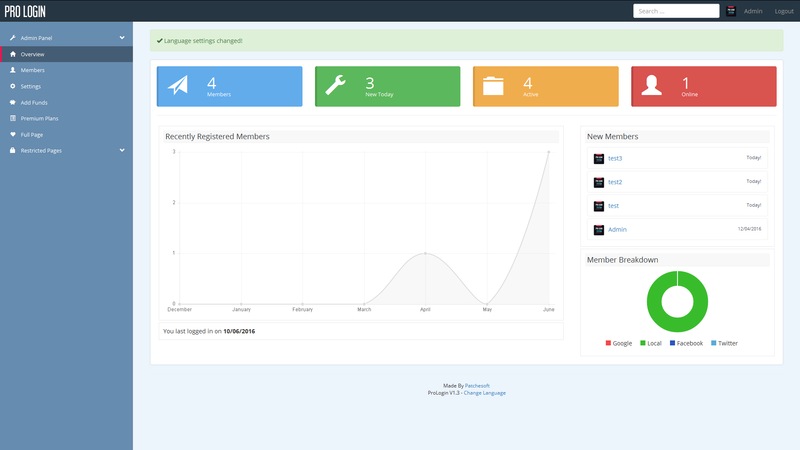 Implemented Layout Change, Logo Option.